Im 8 weeks prego. my ultrasound looks alot like yours, with the babies close together. my doctor said its possible that they are conjoined. have you had your babies yet? Is my doctor crazy? Your story sounds identical to mine! I am 39 with a 5 year old boy and a 15 month old girl. We were done! I found out three weeks ago that I am pregnant...big surprise! My husband then went out to sea, and since he has been gone, I have learned that we are having twins!! HUGE surprise! He does not know about the twins, but he will when he gets home in a few weeks!!! Good luck to you!! 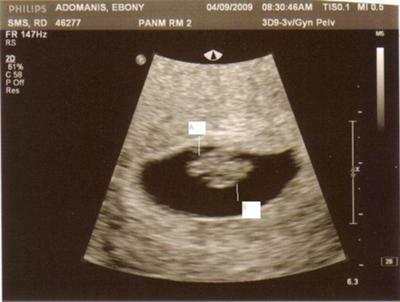 I am still amazed.....I just can't wait for my husband to get home and actually see their little heartbeats..